Representatives for container shipping companies and trucking companies pushed back against a proposal to restrict the number of 1,100-foot-plus container vessels that call on Houston, saying this would hurt the entire shipping and logistics supply chain. The expanded Panama Canal has allowed Houston to welcome larger vessels from Asia, bringing down shipping costs and prompting retailers to open distribution centers. A restriction on containerships, however, could upend those gains and affect jobs throughout the supply chain, Stewart and others said Jan. 29 during the monthly meeting for the Board of Pilot Commissioners for Harris County Ports. They were pushing back against the Coalition for a Fair and Open Port, which has requested a limit of one of these especially large containerships each week. 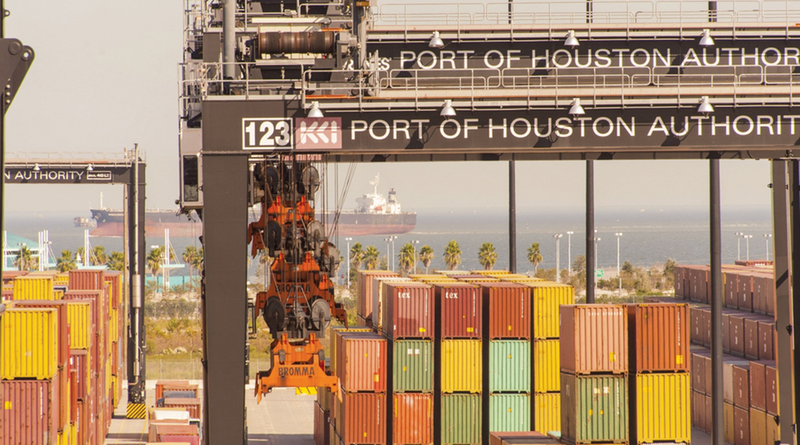 The Houston Pilots, tasked with guiding vessels in and out of the Houston Ship Channel, enacted safety measures that reduce the Houston Ship Channel’s typical two-way traffic to one way when moving these containerships. The pilots are expected to ease such restrictions as they become more familiar with the larger vessels. But the coalition, which includes energy companies Enterprise Products Partners, Targa Resources Corp. and Kinder Morgan, has argued that traffic jams caused by these behemoths will constrict energy exports. The Coalition for a Fair and Open Port declined to comment. Speakers at the Jan. 29 meeting worried that restricting the size of containerships or the frequency of which these ships could enter Houston would make the port less competitive. The West Gulf Maritime Association trade group noted that 1,100-foot-plus vessels make up about 30% of most major container lines’ fleets. Restricting these would affect current and future ships. Erik Eriksson, chief legal officer for Port Houston, said a working group created to address the one-way traffic concerns came to a general consensus that these ships would be restricted to traveling during two times of the day — first light and last light. This maximizes the daylight hours available for two-way traffic. The Houston Pilots then sent out a message to update its traffic management rules to address containerships longer than 1,100 feet. Port Houston is expecting up to four of these especially large containerships this quarter. Janiece Longoria, who ran her last meeting as chair of both the Port Commission of the Port of Houston Authority and the Pilot Board, said money generated from containerships is a big reason the port has not asked for bond money in more than 12 years. The port doesn’t expect to need public funds in the foreseeable future, either. “I think that it’s really important that we have not had to tap the taxpayers to support our continued build-out and infrastructure needs,” she said. Ric Campo, CEO of apartment giant Camden Property Trust, will become the chairman Feb. 1. He has highlighted concerns about one-way traffic as a top priority.